Nigeria international striker Odion Ighalo has revealed he turned down a move to European giants Barcelona in January to continue his career in the Chinese Super League (CSL). Ighalo, 29, finished as the 2018 CSL's second-top scorer with 21 goals which attracted interest from the five-time European champions but insists it was an 'easy decision' to reject their overtures. "My agent spoke to me about a loan interest from Barcelona. The club wanted a striker with La Liga experience and someone who understands Spanish football," Ighalo told BBC Sport. "But with due respect, I had just finished as the second top scorer in China with 21 goals, I deserve better and didn't want to be a short-term player somewhere. "We rejected it, it was an easy decision to make and I chose to stay in China by joining Shanghai Shenhua on a longer contract," Ighalo added. The former Watford striker, who previously spent five years at Granada, rejected an opportunity to play in the Uefa Champions League and potentially claim a first European league title with the 25-time Spanish champions. The Catalan side, however, turned to Ghana's Kevin-Prince Boateng who joined on loan for the remainder of the season. 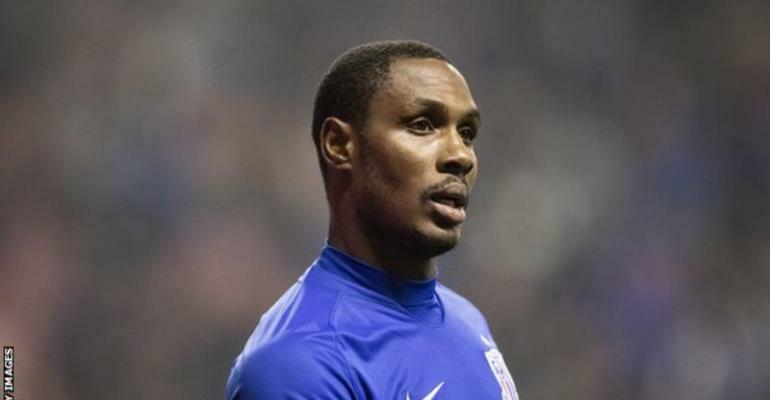 Ighalo insists he has no regrets over his decision to snub Barcelona and sign a three-year deal at Shanghai Shenhua as he believes he had to adopt a long-term plan for his career. "You need to weigh things up properly in life and ask yourself if it is your call to make or one to satisfy others," said Ighalo. "I respect my decision. I needed to focus on what is good for my career long-term and when you decide to do something - you stay true to yourself. It wasn't for me and I am happy where I am. "I have no regrets or whatsoever because I am happy at Shanghai Shenhua. To reunite and play under my former Watford coach [Quique Sánchez Flores] is exciting and I love it." Ighalo, who has played in Norway, Italy, Spain and England, scored seven goals to finish as top scorer in the 2019 Africa Cup of Nations qualifying to help Nigeria seal a return to the tournament. A former youth international, he has 11 goals in 27 appearances for the Super Eagles and played for his country at the 2018 World Cup in Russia.